Can’t Stand the Heat? Replace Your AC Unit! Conduct business in a comfortable environment. Start off on the right foot with a reliable HVAC system. What’s Getting Between You and Cool Air? The Sarasota, Florida heat can be oppressive, but you shouldn’t let it get you down. With the help of Summer Kool Heating & Air LLC, you can be equipped to face any kind of weather in your residential or commercial space. Turn to us for installation, repair and maintenance for your furnaces, split systems and air conditioning units. We accept all major credit cards. Contact us at 941-755-6611 to learn more about our heating and cooling services. Dial 941-755-6611 to schedule repair, maintenance or installation for your AC or heating unit. 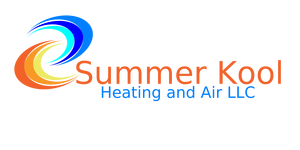 Discuss your heating and cooling needs with Summer Kool Heating & Air, and we’ll find solutions for you. Really great service, honest and dependable. Doesn't over-inflate prices like the larger companies. Definitely recommended! Extremely happy with out experience. Summer Kool really went the extra mile for us. Very friendly and honest owner and staff, and great prices. I highly recommend them to anyone! We want the process to be as easy as possible here at Summer Kool Heating & Air LLC. That is why we offer financing options through two different companies with great benefits! They both offer installment and revolving loans, convenient monthly payment options, competitive interest rates and more! To apply, please stop by our office or one of our representatives can stop by your house to explain & offer you the most convenient options!